Softsoap has a new scent, Coconut Island Quench, which is a perfect way to feel like you are relaxing in the summer season. The moisturizing formula, enriched with coconut oil, leaves skin feeling soft and supple; while the warm coconut fragrance transports you to sunny days on the beach. New Amarte Ultra Veil® ($45, AmarteSkinCare.com): This incredibly light facial sunscreen fluid delivers Broad Spectrum UVA/UVB SPF 50+ protection, creating a physical photo-protective veil to shield skin exposed to sunlight. Ginkgo biloba nut extract and five other botanical plant extracts protect and condition skin while offering antioxidant and anti-inflammatory properties that promote collagen and elastin balance. Caviar extract delivers a surge of unsaturated fatty acids, vitamins, minerals and amino acids and finely processed pure mica imparts an elegant, glowing finish to treated skin. New Amarte Natural Finish BB Cream ($55, AmarteSkinCare.com): This finely pigmented moisturizing face tint brightens, softly conceals and protects with Broad Spectrum SPF 36 UVA/UVB protection, providing uniform coverage without caking or flaking for a long lasting, natural glow. Formulated with refined particles of titanium dioxide, rare argan oil, elemental sulfur and caviar extracts, the BB cream brightens, hydrates, heals and exfoliates the skin. New jane iredale Golden Shimmer Face and Body Lotion ($32, shop.janeiredale.com): A lightweight moisturizer that creates a subtle veil of shimmer designed to warm and smooth the complexion. It can be worn alone or paired with her favorite makeup. The natural formula rejuvenates and hydrates with botanical extracts, so it is gentle enough to be used on the face or body. It leaves skin soft and hydrated and imparts an irresistible golden glow. 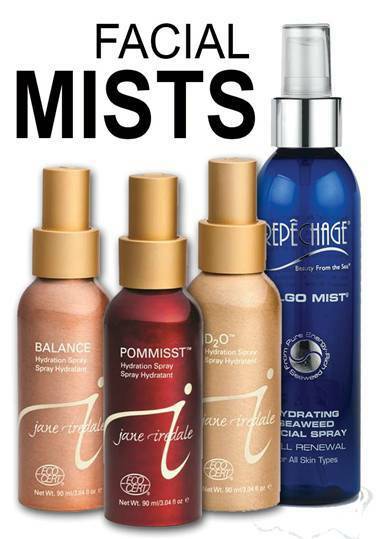 New jane iredale ECOCERT Hydration Sprays ($27, shop.janeiredale.com): Each of these three refreshing, uplifting sprays are 100 percent natural and have earned ECOCERT’s Natural and Organic Cosmetics certification. They conceal pores and fine lines and quickly set mineral makeup for a smooth finish and long lasting hold. They may also be used as moisturizers under and over makeup, or to wet makeup brushes and create precise lines. Each formula offers its own unique ingredients, features and benefits to ensure a spritz for every skin type. This plant seed-based polishing cleanser removes dry, dull skin to reveal a smooth, radiant complexion. The advanced Korean formula uses a unique combination of botanicals and gentle natural exfoliants, making it suitable for all skin types and gentle enough to use every day. 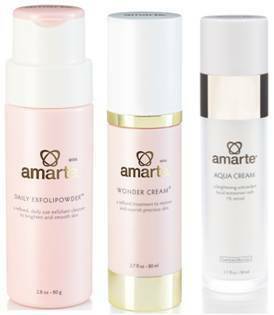 Recommended by board certified dermatologist Craig Kraffert, President of Amarte. A refined treatment to restore and and nourish precious skin. Nutrient-rich and therapeutic, the advanced Korean formula uses a proprietary complex of retinol and ActivElements® to gently diminish freckles and sunspots, reduce lines and wrinkles and lovingly exfoliate for a supple, translucent complexion. Recommended by board certified dermatologist Craig Kraffert, President of Amarte. This brightening antioxidant facial moisturizer is rich in arbutin and 1% retinol that ramps up smoothness and softness while delivering a bright glow. jane iredale POMMISST Hydration Spray ($27) – A facial spritz with the added benefit of pomegranate extract, a powerful antioxidant. Hydrates, conditions and protects all skin types. Sets minerals. 100% natural; ECOCERT Natural and Organic Certification. jane iredale D2O Hydration Spray ($27) – A facial spritz that helps to hydrate and plump the skin cells. Contains key ingredients to calm and protect the skin. Features an Ylang Ylang fragrance. Sets minerals. 100% natural; ECOCERT Natural and Organic Certification. Repêchage Algo Mist Hydrating Seaweed Facial Spray ($33.50) – Rich in 12 vitamins and minerals,18 amino acids, 42 trace elements, and antioxidants, our Laminara Digitata Seaweed helps to lock in moisture and promote skin hydration, while helping to restore a youthful glow. Newly added Aloe Vera and Orange water provide better benefits for your skin, along with a fresh, new scent! Aloe Vera provides instant soothing, cooling, and moisturizing effects. Orange water brightens the appearance of the skin, promoting even tone and clarity. Extract from Gingko Biloba nourishes and rejuvenates. Karuna, a professional DIY skincare line known for producing no-rinse, serum-infused sheet masks targeting specific skin concerns for all skin types, presents the limited-time Karuna Mother’s Day Gift Set. 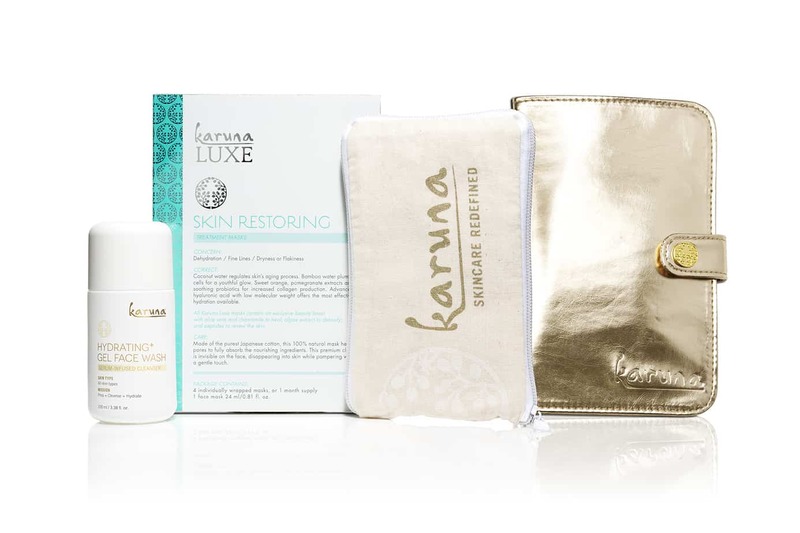 The gift set, which is a $78 value but is selling for $48, includes a box of four individual Karuna Luxe Skin Restoring Masks, and the Karuna Skin Hydrating + Gel Face Wash with an eco-conscious wallet and fashionable travel clutch. •Karuna Skin Hydrating+ Gel Face Wash (100 ml/3.38 fl.oz) is a limited-edition serum-infused cleanser containing the exclusive Karuna Beauty Boost to prep, cleanse and hydrate skin. •Karuna Luxe Skin Restoring Mask is a serum-infused sheet mask that helps combat dehydration, fine lines, and dryness or flakiness. 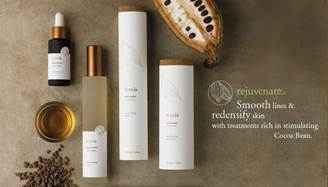 •Rejuvenate Treatment Oil ($186) – a powerful, concentrated blend of skin nourishing seed oils rich in age-fighting antioxidants, Omega 3 and 6 essential fatty acids. Improves elasticity, firmness and uneven tone for dramatically younger looking skin. •Rejuvenating Serum ($182) – a firming gel serum infused with high potency antioxidants and collagen-boosting botanicals. Clinically proven to increase skin hydration and improve firmness as well as the depth of lines and wrinkles. Repairs free radical damage, evens tone and helps stimulate collagen synthesis for fresh, firmer skin with youthful clarity. •Rejuvenate Advanced Firming Complex ($248) – dramatically restores skin’s youthful firmness and elasticity, minimizes the appearance of lines and wrinkles, and improves texture and tone. •Rejuvenate Targeted Wrinkle Treatment ($116) – targets the appearance of lines and wrinkles with a powerful blend of antioxidant-rich Amazon plant actives, including peptide-rich Cocoa Bean, Vitamin C-infused Acerola and antioxidant Acai. Natural Hyaluronic Acid and Summer Snowflake Flower help visibly plump and smooth for a renewed, retexturized complexion. The entire Amala collection can be viewed at www.amalabeauty.com. Ocean Elements Sheer Daily Moisture SPF 30. The combination moisturizer-sunscreen harnesses the power of five naturally occurring marine ingredients which have exceptional protective, hydrating, and restorative qualities. These are combined with natural emollients and non-chemical sun protection to protect, moisturize, and repair your skin.The combination moisturizer-sunscreen is unlike any other product on the market, as its ocean-inspired formula is sheer enough to be worn alone or under makeup. Ocean Elements Sheer Daily Moisture SPF 30 would be a great gift for moms of any age, as it is never too late or too early to protect yourself and your children from the sun’s damaging rays. The product is great for active dads who enjoy spending on the golf course or outdoors with their children. For that special mom in your life on a budget, pamper her with the do it at home manicure/pedicure products package. Start her out with Fab Foils (www.fabfoils.com), the home manicure system which produces salon quality designer nails. Add the PedEgg (www.pedegg.com), so she can gently smooth calloused dry skin and Callous Clear (www.callousclear.com), to remove callous. If her feet need some pampering, add HeelTastic, the easy-to-use roll on cracked heal renewal that helps soothe, relieve and soften. Certain Dri® Clinical Strength Anti-Perspirant is the #1 doctor recommended product for the treatment of excessive sweating. 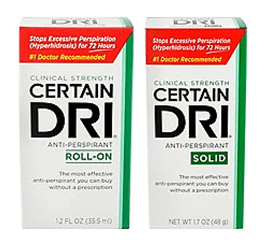 While other products claim to be “clinical strength,” the new drip-free formula in Certain Dri Clinical Strength Anti-Perspirant Roll-On contains the strongest available over-the-counter ingredient, 12% aluminum chloride, to control of excessive underarm sweating while continuing to offer their signature 72 hours of unmatched sweat protection. 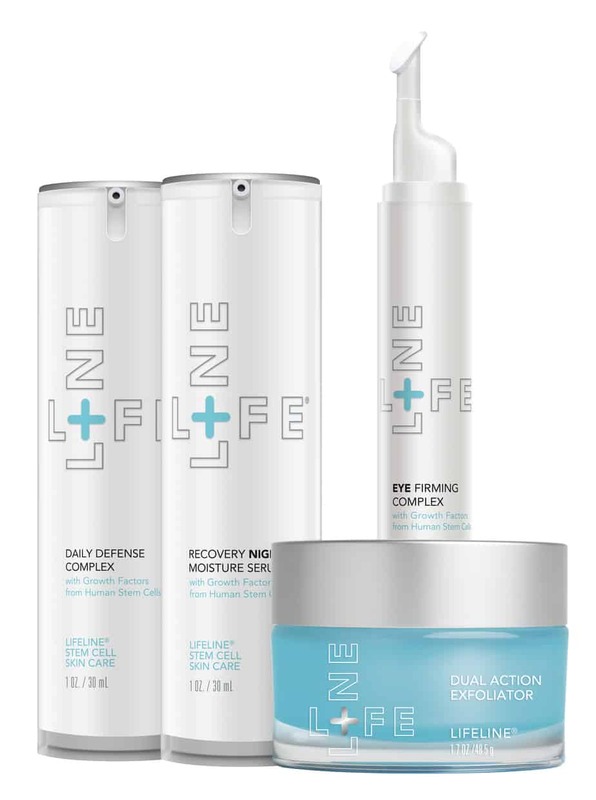 Lifeline® Skin Care is stem cell skin care — the only skin care products in the world based on non-embryonic Human Stem Cell Extracts. These highly-potent stem cells — the same stem cells active early in life — will stimulate your skin’s own abilities to repair itself — and create smooth, beautiful skin. 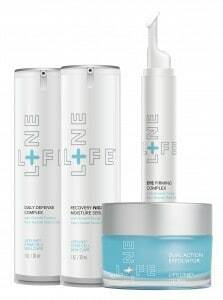 Lifeline stem cell skin care uniquely helps your skin build millions of new, young, healthy skin cells. You restore volume and fullness, you fill in lines around the eyes and mouth, and help reverse the damage caused by the sun’s UV rays. It’s literally “out with the old skin cells, in with the new, young, healthy skin cells.” Learn more at www.lifelineskincare.com. Whole body care for mom for her face, lips, hands, feet and body. For all skin conditions including: dry, chapped, calloused, cracked, sun-damaged skin, rashes, burning and itching. Simply rub into the problem area well.. a little goes a long way, so a jar lasts an incredibly long time. It does not result in a greasy look or feel because it is readily absorbed as nourishment. Ingredients include: tallow (from 100% grass-fed organic cows), olive oil (extra virgin, organic) and essential oils. Available in eight scents and two sizes… two ounces and nine ounces. Great for eczema, sensitive skin and so much more!www.vintagetradition.com $20 for 2 ounces.